Susie's Reviews and Giveaways: Entenmann's/Bumblebee Giveaway Event! My top favorite Little Bites is the Crumb Cake. The Blueberry Mufins are amazing. Can't wait to take the kids to see BUMBLEBEE movie as it looks fun for all. 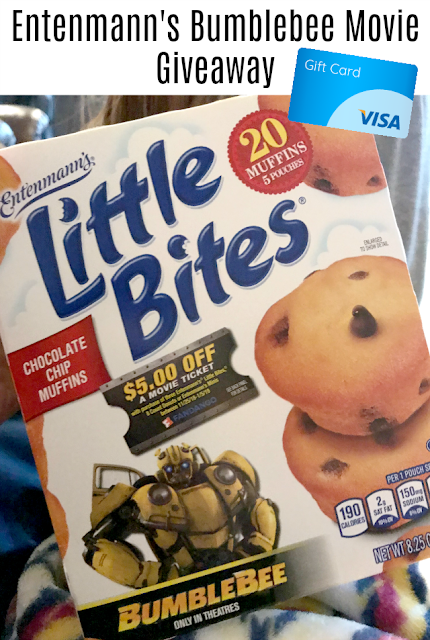 We love the Blueberry Little Bites. Thanks for the giveaway! My favorite product is the Blueberry Little Bites. I really want to see Bumblebee because it sounds like a great movie! Their blueberry muffins have been my favorite for years. I like the blueberry little bites. Don't eat them often, but they're pretty good when I do. Not totally interested in the bumblebee movie. My favorites are the double chocolate donuts! The Bumblebee movie looks like it might actually bring the Transformers franchise back to life!